Do you need to repair or replace a broken or missing tooth? With porcelain crowns and bridges, you can! Summit Dentistry makes it easy for you to repair and refresh your smile in just a couple of easy visits. Not only do dental bridges and crowns restore the smiles of our Spokane patients, but they also bring back much needed self-confidence and make it easier to do things like enjoy a meal. A crown is a full coverage restoration that is placed over a tooth that has experienced a largecavity or fracture of some sort. They are used when fillings are not quite adequate, due to the limited amount of healthy tooth structure remaining. At Summit Dentistry, we use porcelain crowns to help not only restore the tooth, but also enhance the appearance of your smile. By covering the tooth with a crown, that tooth can return to normal functioning abilities without you having to worry about sensitivity or discomfort. We even offer same-day crown procedures so that you can have all of your dental treatment completed in one visit! Bridges are used to replace one or two missing teeth. They are similar to dental crowns in that the ends of the bridge are placed directly over structurally sound teeth, suspending the replacement teeth between them. 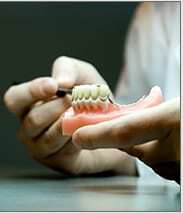 You can use a dental bridge anywhere that there are missing teeth, as long as healthy teeth are adjacent to it. Opting to have a tooth replacement such as a bridge is important – because missing teeth can cause other teeth in the mouth to drift out of place! Summit Dentistry offers comprehensive restorative and cosmetic dental care in Spokane. If you think you need a crown or bridge and are curious about the cost, we invite you to see us! Our flexible scheduling options and financing services will help you get your smile back.